In the 60s and early 70s, aluminum was used as a low-cost alternative to copper wiring. Copper, back then enjoying a heady demand partly due to the Vietnam War, used to be mined, prior to a mass-production technique perfected in the 80s. This was a huge mistake, however, as it was later found that aluminum is unsafe for use as electrical wiring. What makes aluminum so dangerous, though? In this post, your trusted electrician, Bailey & Shipp, discusses the properties of aluminum and why you should upgrade. Aluminum is a conductor, like copper, and is often cheaper than most metals because of its natural abundance. It differs from other conductors, however, because of several factors. The biggest is its conductivity—or its lower performance, in this case. 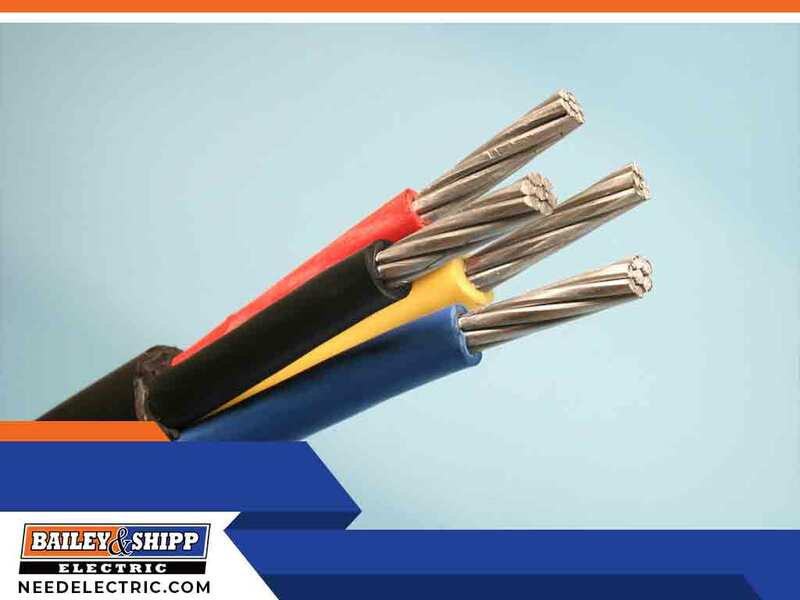 It has a higher electrical resistance than copper, which means twice the amount of aluminum should be used to conduct the same amount of electricity as a normal copper wire could carry. It also expands and contracts more than copper. This is a big problem as electricity often creates heat, which would deform aluminum sooner or later (thus leading to loose connections and arcing). Finally, aluminum is “allergic” to other metals. Electrical contractors know that aluminum corrodes when exposed to other metals in the presence of humidity, a process known as galvanic corrosion. Bailey & Shipp has a bevy of solutions to move your home wiring away from aluminum. In most cases, it’s either to rewire your entire home with copper or use copalum crimps, which are essentially crimping a copper wire to the aluminum branch circuit using a metal jacket and a crimping tool. Both are time-consuming and require expert training, however. Bailey & Shipp, your residential and commercial electrical contractors, can help you upgrade or explore your home wiring options, especially if you’re living in an older house with aluminum circuits. You can fill out our form or give us a call at (410) 927-8606 to request a free estimate. We serve Northern Virginia areas, Washington, DC, and any VA area in between.